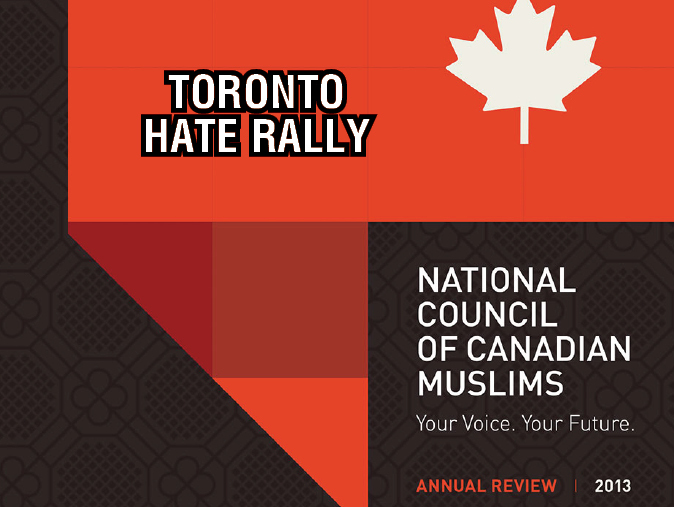 (Toronto - August 9, 2018) The National Council of Canadian Muslims (NCCM) and the Urban Alliance on Race Relations (UARR) welcome news of the postponement of an anti-Muslim hate rally which was due to be held in Toronto on Saturday August 11 by the self-proclaimed “Worldwide Coalition Against Islam” (WCAI). The NCCM, UARR and a consortium of community organizations were due to hold a News Conference at Toronto City Hall to denounce this rally on Friday morning. This news conference is now cancelled. “While we welcome the postponement of the planned rally, we note that the organizers have indicated the possibility of rescheduling it for a future date. As such, we will continue to monitor and alert our communities to any such event,” says NCCM Executive Director Ihsaan Gardee. “The planning of this event, which was due to fall on the first anniversary of the racist, Neo-Nazi gathering in Charlottesville, U.S., gave us all a disturbing insight into what can happen when ignorance, racism and Islamophobia join together with the intention of dividing our communities. It is critical that we do not become complacent in our rejection of racism and other forms of hate,” says Nigel Barriffe, president of the UARR. This rally was due to take place at an already-difficult time for Muslim communities in Canada. In recent weeks, the NCCM has recorded a significant spike in the number of anti-Muslim hate crimes and hate incidents in the country – especially in the greater Toronto Area (GTA). "The voices of our diverse city must be united to drown out the voices of hate. The Toronto we love and are building is about inclusion, and we value living our diversity each and every day. I'm here to stand up for those values,” says Councillor Joe Mihevc. On behalf of the wider NCCM and UARR communities, we thank the many community organizations, elected officials, community leaders and others for their strong display of allyship and solidarity with Canadian Muslim communities against intolerance.